What Are the Uses & Benefits of Tribulus Terrestris? How Do I Take Tribulus Terrestris? Are There Any Side Effects Tribulus Terrestris? How Do I Pick a Good Tribulus Terrestris Product? 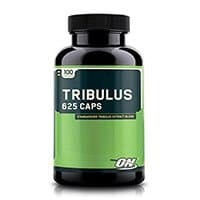 In order to help you find a good tribulus product we’ve researched & narrowed down the best tribulus terrestris supplements on the market right now. BulkSupplements Tribulus Terrestris Powder provides 1000 mg of tribulus terrestris per serving. Serving size is a rounded ¼ teaspoon. The packet contains around 500 servings. 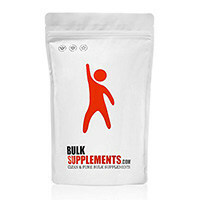 Bulk Supplements produces a wide range of supplemental powders including vitamins, minerals, and herbs. They are available in weight measurements from grams to metric tons. Their stock of over 400 supplements are all made in an FDA-registered cGMP manufacturing and distribution facility. Every supplement is tested for purity and safety before distribution. This is an excellent tribulus terrestris supplement. It is in a pure form, so you can add it to drinks and food o make your own capsules. It contains no additives, fillers, GMO ingredient or allergens. It is also vegan-friendly. This is a very versatile option because you can modify the dosage to suit your needs. 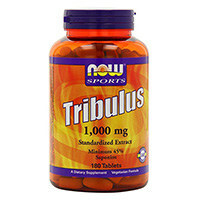 NOW Foods Tribulus provides 1000 mg of tribulus terrestris per serving. Serving size is one tablet. The bottle contains 90 servings. NOW Foods was established in 1968, before nutritional supplements had become mainstream. Since then, they have been committed to developing and providing products and services that help their customers lead healthier lives. They are also dedicated to providing their products at affordable price and to environmental sustainability. These are excellent tribulus terrestris pills. They contain 45% saponins. They contain no common allergens such as shellfish, dairy, eggs, soy or nuts, and are gluten free. What’s more, the capsules contain no gelatin, so they are vegan-friendly. 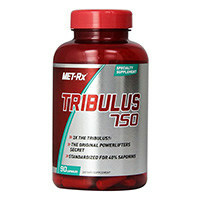 MET-Rx Tribulus 750 provides 750 mg of tribulus terrestris per serving. Serving size is one tablet. The bottle contains 90 servings. MET-Rx has been researching and creating supplements for athletes for more than two decades. They specialize in proprietary protein blends and supplements that enhance workout and athletic performance. 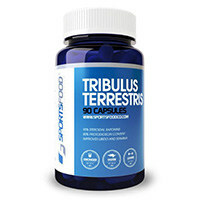 This is another great tribulus terrestris supplement. It has 40% saponins and a good dosage level. On the downside, it contains gelatin so it’s not suitable for vegetarians. It also contains fillers. Optimum Nutrition Tribulus Terrestris provides 625 mg of tribulus terrestris per serving. Serving size is one tablet. The bottle contains 100 servings. Optimum Nutrition has operations in Aurora, Illinois; Walterboro, South Carolina and Sunrise, Florida. It is a part of the Glanbia international nutritional ingredients and cheese group. As well as Optimum Nutrition, he company owns the high-quality sports nutrition brand American Body Building. These are effective tribulus terrestris pills. They are made by a very reputable company and their tribulus content is standardized to 40% saponins. Unfortunately, they are not vegan-friendly, and they do contain unnecessary fillers. 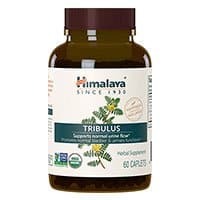 Himalaya Herbal Healthcare Tribulus provides 688 mg of tribulus terrestris per serving. Serving size is one tablet. The bottle contains 60 servings. Himalaya Herbal Healthcare was established in 1930. Today, the company has a range of over 300 healthcare and personal care products. The company’s research and development facility is located in Bengaluru and its manufacturing facility is located in Makali, India. The Himalaya brand is renowned for the quality and purity of its nutritional supplements, and this one is no exception. Although the level of saponins is lower than some of the other brands on the market, this makes it a great option if you are trying tribulus terrestris for the first time. Pure Encapsulations Tribulus Formula provides 250 mg of tribulus terrestris per serving. Serving size is three tablets. The bottle contains 90 servings. Pure Encapsulations manufactures hypoallergenic nutritional supplements made with research-based formulas. The company’s goal is to source high-quality ingredients and work with professional healthcare experts to produce viable supplements. Pure Encapsulations formula is an effective tribulus terrestris supplement. If you are looking for a milder dos, this is a good option, with 20% saponins. It also contains D-aspartic acid, which is an amino acid, and chrysin, which is a flavone extracted from bee propolis. This supplement is not suitable for anyone with an allergy to honey or bee propolis. 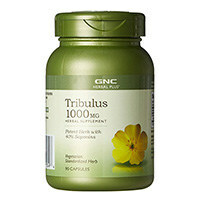 GNC Herbal Plus Tribulus provides 1000 mg of tribulus terrestris per serving. Serving size is two tablets. The bottle contains 90 capsules. GNC supplements (General Nutrition Centers) is based in Pittsburgh, PA. The company began as a small health food store in 1935. It sells herbal supplements, vitamins, minerals, sports, diet, and energy products. Many of its ingredients are patented. All products are manufactured by experts in the nutrition field. You can count on GNC to make some of the top tribulus terrestris pills. As well as being gluten and allergen-free, this supplement has no fillers or artificial additives. Savesta Tribulus provides 500 mg of tribulus terrestris per serving. Serving size is one tablet. The bottle contains 60 servings. Savesta is a supplement manufacturer based in Southern India. The facility is GMPs (Good Manufacturing Practices) compliant. All ingredients are Halal and Kosher certified. They guarantee the purity and potency of all their products. These are top tribulus terrestris pills. Savesta’s ayurvedic supplements have a great reputation for their pure ingredients and their rigorously tested formulas. This supplement is free from gluten, common allergens, and fillers. 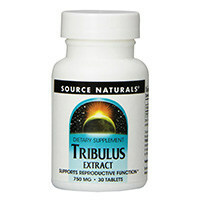 Source Naturals Tribulus provides 750 mg of tribulus terrestris per serving. Serving size is two tablets. The bottle contains 30 capsules. Source Naturals is a U.S.-based company that is committed to high standards of quality. Each of their products has been certified by means of an independent audit of their manufacturing processes. They use a unique Bio-Alignment strategy, which incorporates optimal types and combinations of nutrients for their formulations. Source Natural porvices a good tribulus terrestris supplement for vegans and vegetarians. It is standardized with 40 percent saponins and contains no common allergens. It does contain fillers. Sports Food Tribulus Terrestris provides 1000 mg of tribulus terrestris per serving. Serving size is one tablet. The bottle contains 90 capsules. Sports Food Nutrition supplements is based in New York and was founded in 2010. The company is dedicated to providing quality sports nutrition at reasonable prices. They offer a wide range of nutritional products. This supplement has a high level of saponins. However, it contains gelatin so it’s not suitable for vegetarians. It also contains fillers. Tribulus terrestris, also known as bindii, cat’s head, devil’s eyelashes, and puncture vine, is a weedy, annual plant that grows throughout the world. It is a hardy plant that thrives in dry climates where few other plants can flourish. The plant has hairy stems and leaflets and small yellow flowers. Tribulus has a long history in traditional Indian medicine where the powdered form of the leaves, stems, and fruits are still used today to treat edema, dysmenorrhea, and urinary tract infections. In traditional Chinese medicine, Tribulus terrestris extract is used as a dietary supplement which is believed to increase testosterone levels. Tribulus terrestris contains many active ingredients. However, the one that is considered to be the most beneficial is a steroidal saponin known as protodioscin. Dietary supplements containing this extract are manufactured and sold throughout the United States. Testosterone: In a 2012 study published in Ayu, male subjects between the ages of 21 and 59 who had a low sperm count were given the tribulus terrestris granules or a placebo for 60 days. The subjects taking the tribulus terrestris granules showed a greater improvement in sperm count that those taking the placebo. However, the increase in testosterone was too low to be statistically significant. More research is needed. Blood sugar: A 2002 animal study published in the Journal of Chinese Medical Materials, showed that the saponin extracted from tribulus terrestris may significantly lower blood glucose levels. More research with human participants is needed. Libido: Although tribulus terrestris does not have a major influence on testosterone, some studies show that it may support a healthy libido. In a 2016 study published in the Journal of Ethnopharmacology, men who took a daily dose of 750–1,500 mg of tribulus terrestris for two months, noticed that their libido increased by up to 79%. The same study revealed that women with low libidos experienced an increase in sexual desire after taking 500–1,500 mg of tribulus terrestris for 90 days. Diuretic: Tribulus terrestris may act as a diuretic and increase the flow of urine. More research is needed. Immune system: Preliminary animal studies show that tribulus terrestris may help support a healthy immune system. More research is needed. Inflammation: An in vitro study suggests that tribulus terrestris may support a healthy inflammatory system. More research is needed. Manufacturers of tribulus terrestris often claim that this supplement can also enhance athletic performance or improve body composition. There is no clinical evidence to support these claims. There is no standard recommended tribulus terrestris dosage. Based on human clinical studies, the suggested tribulus terrestris supplement dosage, based on a 60 percent saponin extract, is within the range of 200-450 mg per day. 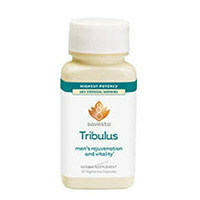 You should not take tribulus if you are pregnant or breastfeeding. You should not take tribulus if you are taking the medication lithium as tribulus may affect the way your body retains lithium. An effective tribulus terrestris supplement should contain 45–60% saponins. You should bear in mind that a higher level of saponins means that the supplement is more concentrated, so a lower dose may be taken. The best quality tribulus terrestris supplements contain no artificial additives, common allergens, gluten, GMOs, or unnecessary fillers.